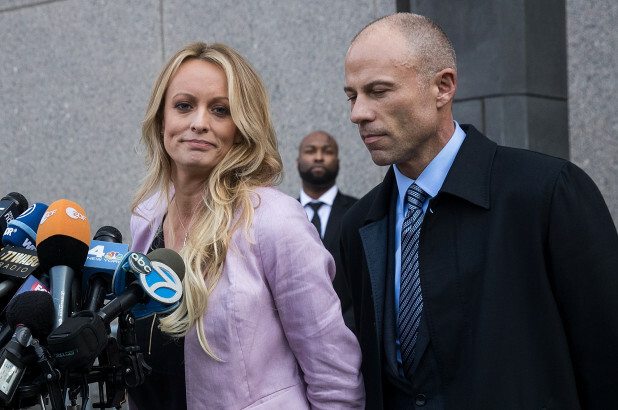 Celebrity attorney and bona fide TV personality Michael Avenatti was arrested on suspicion of domestic assault last week. The career and political future of the man who entered the limelight—and has refused to leave it—by representing Stormy Daniels now hangs in the balance. Though a benign narcissist at first, Avenatti fell out of favor with the Democratic Party after he brought to light questionable allegations against Brett Kavanaugh that Democrats believe undermined Dr. Ford’s credibility. Before Stormy Daniels, Avenatti represented Paris Hilton in a defamation suit in 2007 and later Jim Carrey in a wrongful death lawsuit in 2013. For a man with a professional car racing career, a bug for politics, and an ostensible loathing for Donald Trump, representing Stormy Daniels was the perfect job. Avenatti, however, defies the classic stereotype of a lawyer: in TV and film, lawyers often avoid grandiose public statements and are careful to not let their clients divulge anything. To the contrary, Avenatti appeared on cable television almost every night last spring, maintains an active social media presence, and speaks frankly about how he feels about the president. At no point in the suit against Donald Trump has Avenatti been shy about his own political convictions. The fact that he both outlined a policy agenda on Twitter (who asked for it?) and floated a 2020 bid for president begs the question: is Avenatti representing Daniels because he’s a liberal hero who wants to take down the president? To label Avenatti a liberal ideologue or a patriotic #resistance darling would give him too much credit. Unlike Alexandria Ocasio-Cortez, he has not brought fresh, progressive ideas to the Democratic Party. And unlike Adam Schiff or Eric Swalwell, he has not fought to ensure the dignity of the investigations into potential collusion between Russia and the Trump campaign. Rather, he strikes a chord with the millions of liberal Americans who have become disillusioned by Michelle Obama’s “when they go low, we go high” ethos. Hence, he’s a demagogue. Despite being liberal, he’s more like Trump than anyone else. It’s hard to blame progressives, beleaguered by the outlandishness of Trump and his Republican Party, for seeking solace in a Trumpian like Avenatti. With around 90% of Republicans approving of a president who believed you need an ID to buy groceries, many are beginning to believe that only “ridiculous [can save] us from ridiculous.” Avenatti believes that the only way to unite the country against Trump is through demagoguery and pettiness. Finding himself out of the limelight, Avenatti rode the wave of the Kavanaugh hearings back into center stage by providing two witnesses with accounts of drunken, predatory behavior by the now-Supreme Court Justice. Avenatti’s witnesses later recanted parts of their stories, and an unnamed witness even accused Avenatti of “twisting [her] words.” The chutzpah with which Avenatti brought forth the new allegations—and then the subsequent shakiness of the accounts—played perfectly into the Republican Party’s claims that all sexual assault allegations against Kavanaugh were hitjobs. It allowed the GOP to discredit Dr. Ford’s story—which was chilling, articulate, and consistent—through guilt by association. Until the domestic assault accusations, it was established that Avenatti would run for president in 2020. While it’s certain that the Democrats must be willing to be more feisty if they want to challenge Trump’s GOP, feistiness, in the absence of good ideas, is not a winning political strategy. Avenatti preached to the anti-Trump choir, but the Democrats need to welcome more voters into the fold to win in 2020. They will do that by fighting for better pay, single payer healthcare, and action on climate change, not by mirroring Trump’s demagoguery.